In the 60th in a series of posts on 2013 books entered for The Story Prize, Kristiana Kahakauwila, author of This Is Paradise (Hogarth), contrasts a story that took her ten years to get right with one she wrote in a single night. When I was an undergraduate at Princeton University I wrote a collection of short stories for my thesis. One of those stories centered on a relationship between a father and son, the former who is dying and the latter who wishes to reveal a secret. At the time, the story’s plot came together, but the narrative didn’t resonate on the page the way it did in my head. For the next decade—as I worked, went to graduate school, practiced writing, and moved from New Jersey to New York to Michigan to Hawai`i—I kept ruminating on this story about a son who wishes to confide in his father the one secret he knows will break his dad’s heart. I wanted to learn how to tell that story with the greatest honesty and resonance I could. The first story I wrote for This is Paradise was “Thirty-Nine Rules for Making a Hawaiian Funeral into a Drinking Game.” I wrote the initial draft in a single night, as an email to a friend. The next morning I re-read the email I had sent, and I realized I had the beginnings of a story. Although the revision took me several months, that first draft came as a rush of emotion. I was, after all, just returning to O`ahu from my own grandmother’s funeral, and all the complexity of my feelings—sadness, loss, appreciation, elation to have been surrounded by so much family—drove my writing. In the center of all this emotion was a single image—of cane burning on the highway at night, and the sweet-acrid smell of the air. My stories tend to spring from a single image that I can’t shake. Maybe the image is something real, such as a photograph or the scent of cane burning. Other times the image is something I’ve dreamt or imagined, but it lingers with me, inspiring an emotional response. Always, a question hovers over the story, and my writing is a way of attempting to articulate the question, and its possible answers, in some way. Which brings me back to that story I first wrote more than ten years ago. I returned to it when I was building This is Paradise, and I set out to better understand the father and son. 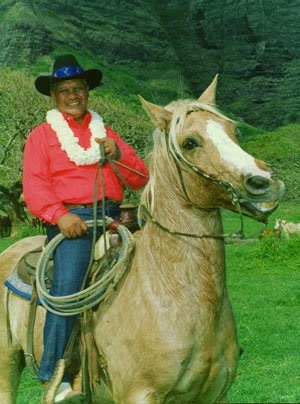 I had this image of an old paniolo—a Hawaiian cowboy—in bed. He’s frail, but he’s commanding. He has a sharp sense of humor, like most Hawaiian men I know. On his bed is a woven blanket the colors of the ocean—blues and greens, undulating. His son hovers in the doorway of the bedroom, afraid to step all the way inside, while a male nurse carefully shaves the paniolo’s face. When I decided to revisit this story, I started with this image of the father, his nurse, and the son. In lieu of the mother from the original version, I added a sister. The tension between siblings added a new element to the story, making it not just about a father and son but about a family, their ranch, and their relationship with land and legacy. Because I’d added a ranch, I then needed to describe the cows, the barn, and the land itself. And I had to see the characters interact with this land, with their legacy. When they did so, the story lengthened, tripling in size, and the characters’ desires gained complexity. What remained the same was the central question that had driven the story in the first place: What secrets should we tell and which should we keep? The arc of the story, its central drive, didn’t change. But my process for negotiating that question, and the characters’ responses to it, was all new. In the end, “The Old Paniolo Way,” took me a decade to complete, while “Thirty-Nine Rules” took me a single night. The rest of the stories were written within a two-year period that kicked-off with the drafting of “Thirty-Nine Rules.” I may have written intensely in that two years, but I was using the lessons of the previous decade, listening to my characters rather than myself, writing at the edge of my own emotions, and finding that the drive of each story—and the collection as a whole—lay in questions I sincerely wish to understand. 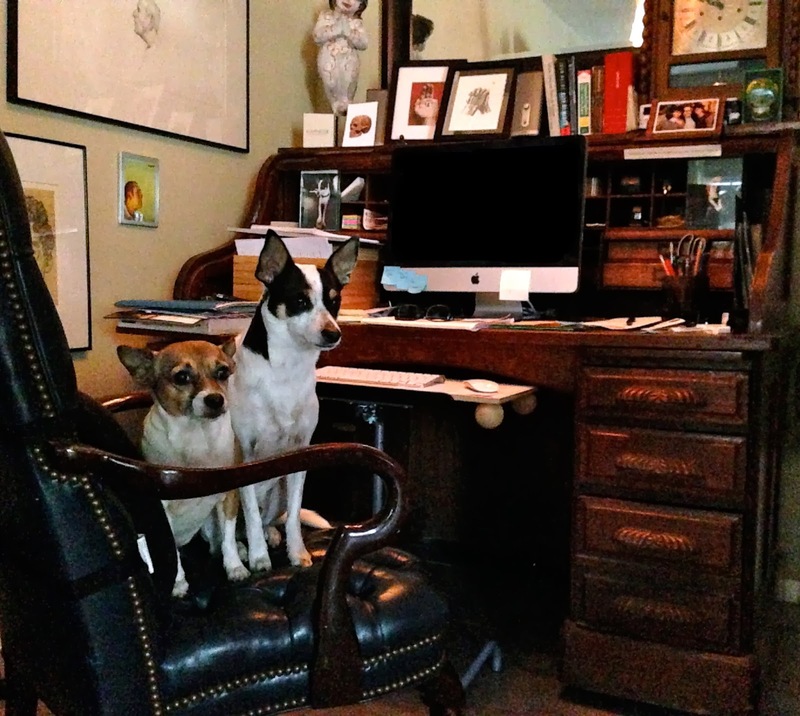 In the 59th in a series of posts on 2013 books entered for The Story Prize, Carolyn Cooke, author of Amor and Psycho (Alfred A. Knopf), gives us a tour of her eccentric studio. I work in an uninsulated cabin that sits alone on a hill, not quite visible from my house, which is by almost any American standard also a cabin. The cabin that is not my house—call it my anti-house—has nine recycled windows and looks out over redwoods, tanoak, bullpines, and the ocean. A wooden ladder rises to a loft, which holds a futon covered with sheets that never need to be changed and an important pillow made from one of my husband’s old shirts and embroidered with the words “I Love You Mom,” which I keep as I might keep a deed in a safe deposit box, as proof. I sleep better and harder here than anywhere I’ve ever slept, and dream higher-quality dreams. The anti-house is furnished with discards from my other life. The only precious object is an antique card table with a bit of inlay work at the front. My desk chair, straight-backed and Puritan, has a hole in the seat and wisps of horsehair coming out. There’s also a lounge chair with a pony hide that went through a fire (here, in 1999, my fault). Next to the chair sits a reading table containing a white metal lamp of the kind that cost $2 in the 1970s, two dictionaries, and four ivory elephants. The elephants—they used to be five—are the last things my Nana asked about before she died: “Have you lost my ivory elephants already?” with a kind of resignation I might one day remember to practice. There’s a mug containing the same red pencils my grandfather used to correct my letters to him and three wood-and glass cases containing rocks and birds’ eggs. A canvas guest chair bought at Conran’s in New York in 1980 threatens constantly to rip, but I don’t worry about that because I rarely have guests. The cabin contains a minimum of everything (besides human company) I need to survive: hot plate, sink, coffee articles, cans of soup, and a jar of peanut butter bought from the co-op the year my daughter turned nine. There’s one fork, one spoon, a Buck knife, and a Ball jar. There’s a telephone, an olive-green typewriter bought in Hamburg, Germany, in 1991, a dog bed, and a dog. The books here are those I wandered up the hill with—essays, novels, diaries and poetry: Woolf, Dostoevsky, Nabokov, Roth, Trevor, Joyce, Ellison, Davis, Munro, Paley, Jewett, Lahiri, Lopez, Gaitskill, Michaels, Chekhov, Sontag, Didion, Eliot, Glück, Robinson, Stevens, Whitman, and Yeats. There are letters of Flaubert and Bishop (this last a fat volume that went through the fire and smells strongly of ashes and pine) and also twenty or so binders of letters, notes, journals, and sketches, which I combine in an endless work called “The Cord” and pillage regularly. My anti-house is a private shell, a container for things that seemed important enough to drag up the hill. Myself, for example. It contains the part of life I made out of nothing, out of sentences. When I make my way here and get to work, I leave myself for a while, forget what I am. Later I head down the hill blurry and disoriented, stumbling over pine roots. The house I live in embraces what Roland Barthes has called “the spectacular pleasures of domestic life”: newspapers, Band-Aids, roast chickens, day lilies, brass polish, old address books, train sets, ski jackets, sheet sets, screw drivers, stamps, soaps, vitamins, constant wireless contact with the world and an evolving cast of people to whom I feel connected by ties of affection and duty. My anti-house says no to all that. In the 58th in a series of posts on 2013 books entered for The Story Prize, Ito Romo, author of The Border Is Burning (University of New Mexico Press), discusses the origins of a story, why he writes the way he does, and where he does his work. Her hair caught fire years ago, Christmastime, as she bent over to light a cigarette on the gas stove one night—stinking drunk. It never grew back right after that, patchy and frizzy and uncombable, so she shaved her head with disposable Bic razors in the shower every other morning. Two years later, she wore it still, though now it was uncombed and wild, kind of like the fire. In this particular instance, the story starts with something that happened to my grandmother’s twin sister. It was an image I had in my head for many years although I never really saw it take place. My grandmother, Carlota, and her sister, Dalila, were born at the turn of the century on the border between the U.S. and Mexico in Laredo, Texas. Seventh generation Texans, they, along with their two brothers and another sister, were really “old school.” They had grown up in the same home I grew up in—two-foot thick stonewalls, wooden beamed ceiling, a Spanish colonial home built around 1750. Lila, as we called her, left Laredo as a young woman to study in Austin (quite a feat for anyone from that region, much less a woman—and a Mexican-American at that), then taught elementary school in Robstown, Texas, where she moved after marrying and where she lived for the rest of her life. She had long silver hair, which she wore in a tight bun at the top of her head. When she’d come to Laredo from Robstown to visit my grandmother Carlota, I’d sometimes see her sitting in my grandmother’s living room, both watching a telenovela, while Lila combed and re-combed her hair, which, as long as I can remember, had been down to her waist. Years later, after I’d left Laredo and gone off to college, one of my sisters told me that Lila accidentally set her hair on fire one morning as she lit the gas burner on her stove top. She was okay, had only minor burns on her scalp, but I imagined how horrible it must have been for her. This small but vivid imagined memory is what inspired the beginning of the story about Matilde in "Redhead." I recently read from my collection of short stories for a university audience, and after the reading, I asked if there were any questions or comments, and the first question came quickly from one of the students in the crowd, “Why do you write the way you write.” At first I said, “You know, that’s a really good question, existentially, but what exactly do you mean?” And the student said, “Well, the short, sometimes really short, stories; the short, tight sentences; the intense rhythm; you know, the vivid, really real images; all of those things.” And out of nowhere, without even thinking about it because I had never had a “reason” to write the way I do, I said, “I guess what I want is that for 7 to 10 minutes of your life (because that’s what it takes to read one of my stories), I want you to really feel what someone else is going through, to live, for just a few minutes, the lives of those people we hardly think about.” I used to think that to be able to do this, I needed long, frilly, complicated sentences, but after years and years of fine-tuning, I finally realized that the simpler and more direct writing gave me the immediacy I was looking for. I write all of my stories at this roll top desk. It belonged to my great-grandfather, Baldomero Chacon, Carlota and Lila’s father. Those two are my dogs, Xuxa and Lalo. In the 57th in a series of posts on 2013 books entered for The Story Prize, Kate Milliken, author of If I'd Known You Were Coming (University of Iowa Press), talks about organizing a collection and finding inspiration. Usually it’s the body language between two people, an overheard bit of dialog, or a sudden shift in atmosphere of a room—something that presents itself with a hint of subtext. I’ll wonder about that moment, that image, those characters, for a while before I start writing. I write down three or four of these story scraps a month and lose a whole lot more to the belief that I’ll remember them. A regard for the reader’s time is important, the need for changes in perspective and pace, an avoidance of echoing between stories, a balance of darkness and humor. And I want a kind of conversation to be happening between the stories. I most admire collections with a subtly identifiable lineage from the first story to the last—by character or location or theme. Here’s a metaphor: A book is a house. The ordering of the stories is your host, leading you from room to room, so that by the time you’ve reached the attic or the master bedroom, whatever the tour’s final resting place is—that final story—you feel a great intimacy with the whole of the place, but hopefully there’s a window there too, a view out to the world beyond the book. So that first story also has to act as an invitation in, a front door, a foyer with coat rack. I’ll put the metaphor away, but this is just to say that while every story matters, that first and last story have an added responsibility. It involves a wronged wife, the mistress hairdresser, a shampoo and a cut. Write What You Know has become a kind of bad ad campaign for creative writing. It’s easy to say, it looks simple enough on the blackboard, it’s inviting to the student who is new to writing. But then that student realizes they don’t know much of anything. Write What You’re Curious About. Write Your Obsessions. Write About What Plagues You. These are the slogans that keep me going back to the page and they invite the understanding that writing isn’t only an act of self-expression, but one of discovery. All of them. But daily from photography, music, and film. I’ve learned a great deal about dramatic structure from film and I often visualize scenes as if through a camera lens. Possibly a side effect of Hitchcock and Woody Allen getting more play time in my childhood then Tom and Jerry. And my husband is a photographer and filmmaker, so his work keeps me attuned to visual story telling. I keep images up that I relate to characters or settings and I usually listen to music while I write. Cat Power or Bon Iver for a heartsick protagonist, Lykki Li or Coco Rosie for the object of her desire, Amjad Ali Khan when I’m stuck. My own immaturity-insecurity-lack of discipline. They feed one another. My twenties. I wasted a lot of writing time and time in general before having kids. Now the “obstacle” of having less time is what has made me more productive, more willing to run with an idea, to avoid excuses in favor of action. My inner critic I skirt by getting up earlier than she can. Four or five a.m. seems to keep her groggy and ineffectual enough. Two days. It was freakish. I wish I could bottle that feeling. Naturally line edits have happened in the years since, but paragraph for paragraph it’s the same. It must have been gestating, as I had a fifteen-minute phone conversation with someone and as soon as I hung up I realized the conversation had a dramatic arc and as I started fictionalizing, embellishing, the backstory, the last line, everything came to me in an uncanny rush. I’ve waited for that to happen again ever since. Never has, never will. Well, years. But that’s not active writing time. Most stories take me four months to a year to bring to some polished state, but they all lay dormant for periods of time. However long it takes me to get objective, to let go of my initial intentions. I have one story that I started ten years ago, a story that has an ending, but not the proper ending. Line for line it’s a pretty rough read to me now. Someday I’ll write it all over again. So ten years and counting. In the 55th in a series of posts on 2013 books entered for The Story Prize, Shawn Vestal, author of Godforsaken Idaho (New Harvest), talks about often starting a story without an idea and taking one from Henry James. I almost never have story ideas. That is, I almost never have ideas for whole stories, or even parts of stories. Usually, when I begin, I don’t even have a decent, respectable portion of what you would call a story in mind—not even 2 percent of a story, say, or .82 percent of one. Almost always, for me, stories begin with the paltriest little bean—a scrap of language, a predicament, a joke, an attitude, a voice—and little more than my desire to see what kinds of flavors I can extract from it. Sometimes, inch by inch, a paragraph or two of real story will emerge out of the imaginative play and false starts and silly side roads and verbal goofing-off. The making-it-up. Very often, the making-it-up fails me. It will founder on an absence of character and authentic life, and after some time I will start with a new bean. I sometimes feel insufficient in this respect—many of my writer friends strike me as much more natural storytellers, as people who imagine narratives in whole—but I am coming to have faith in my ability to eventually discover a story idea, even if it doesn’t show up until late in the process, and even if several other ideas must wither for me to get there. I have never quite done that, but I often do something that feels similar to me: take an existing story or idea and retell it, turn it on its head, subvert it. In my collection, I did this with the story of the Mormon pioneers and the seagulls—a story that is an important part of the church mythology, and one that I had heard many times while growing up. In that version of events, a wave of crickets threatens to destroy the crops of the pioneers, recently settled in Utah, when a flock of seagulls comes and rescues the Saints from ruin by eating the bugs. In my story, “Gulls,” I tried to take the pieces of that story, and make a new one—one with different meanings, different suggestions, different conclusions. An artistic takeover. 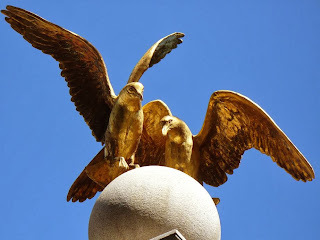 Another story of mine, “Diviner,” is my own reinterpretation and fictionalization of some actual history regarding Joseph Smith, the founder of the Mormon Church. I find this very compelling, for whatever reason—the notion of taking someone else’s story, and breaking it apart, and putting it back together for myself and seeing what I end up with. I have a long-term goal to take the Henry James’ novel, “The Ambassadors,” and rewrite it as a crimey story set in Washington state, with my home of Spokane standing in for America and with Seattle standing in for Europe. I like to think of this less as stealing than as Henry James giving me a story idea. The best writing advice in the world is plain and unremarkable: Read a lot and write a lot and work hard. Keep going. And then keep going some more. 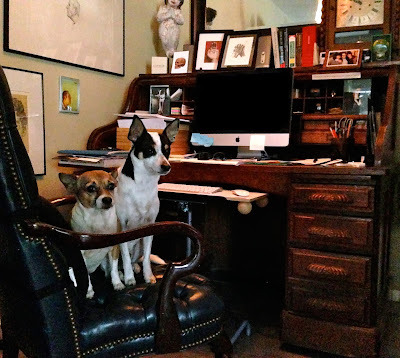 Almost all other writing advice — write what you know, show don’t tell, appeal to at least three senses, make sure your main character undergoes a change, be sure to give the dog a name—is apt to range from excellent to atrocious, depending on the context of any single piece of writing. Most often, such advice is mediocre and obvious, but it is also the best we can do. The voice I often hear in my mind when I’m revising something is that of my friend, the author Sam Ligon, and he is saying: Can this do more? It is always the right question. In the 54th in a series of posts on 2013 books entered for The Story Prize, Jessica Francis Kane, author of This Close (Graywolf Press), talks about good ideas and bad ideas, good advice and bad advice, inspiration and obstacles. Lately I would say, not often enough. As for triggers, a little bit of everything: reading, history, autobiography, overheard conversations, worry, fear, misunderstanding, love. I realize now only non-writers have ever told me to write something and said it would make a good story. I always cringe when that happens. I think writers know better. The one exception is my father. He’s not a writer, but he has a writer’s sense for good material and often tells me stories that wind up in my work one way or another. Possibly this story I tried to make work for years about a small country fair. It was going to be about a man who had trained a team of horses for the horse pull contest. I was obsessed with the nature of old-fashioned farm work for a time. I read and researched, even interviewed a man who had a horse team, but the story never got better. If you’re wondering why, I’ll tell you that there was going to be an ancient oak tree, and a storm, and the whole thing was called “Carnival of the Winds.” So many problems. Still, these were the early days of my story writing career, and I learned a lot from the constant failure of that story. I fear I can’t even summarize it here satisfactorily. I'm still hoping to persevere and get this one written. I have worked in libraries for about a decade, ever since my first child was born. It helped me then to get out of the house and work around other people. I still like to leave the house but lately am tired of battling undergraduates for the best desks, so I’ve joined a writers’ space in the city called Paragraph. I like it there and only wish it were called Whole Novel. 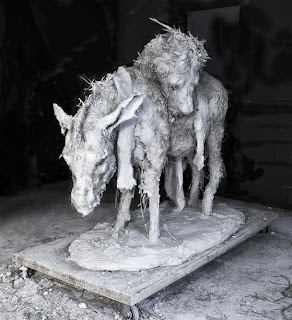 Music and art, most recently the sculptures of Nicola Hicks. She is an English artist who has an exhibit currently at the Yale Center for British Art. I saw it over Thanksgiving with my family and was transfixed. Her piece “Who was I kidding?”—based on the Aesop fable of the donkey dressed in a lion skin—is one of the saddest things I’ve ever seen. It is the very embodiment of shame. I’m fascinated by it and I know this means it will inform my writing somehow, but I don’t have any way of saying how yet. The worst advice was when someone told me that the shortest story I’d written to date sounded the most like the opening of a novel. I wanted to write a novel and was casting about for a subject, so I latched onto this idea and spent a long time, too long, trying to turn that little thing into something longer. The best advice, interestingly, came from the same person. I was worrying a bit of description in a different story, and he said, “Leave the blue curtains alone.” Now I think of those words whenever I’m trying to push something in a story too hard. That some of the best advice and the worst advice came from the same person probably means that, at best, all writing advice is suspect. Ultimately, you find what you need and use it in your own way. The biggest obstacles have been the beautiful chaos of life with children and sustaining confidence over time. If I’ve overcome them, it’s news to me. It feels like a constant battle, but my trusty aides are an astonishingly supportive husband, a belief in routine, and the occasional retreat or residency. The shortest period of time was a month, but it was based on an opening paragraph I’d written about six years earlier, so I don’t know if this counts. I had a voice in my head for a character who was based on the woman I was living across the street from at the time. I liked the voice, but after the first paragraph didn’t know where to go with it. I try not to throw anything away, though, so years later I opened the file, reread the paragraph, and just kept writing. A month later I had a new story. I wish more of them came like that. I don’t know yet, but sometimes I worry I’m likely to set a record. I still have things I hope to finish, other abandoned paragraphs and pages I plan to resurrect. In the 53rd in a series of posts on 2013 books entered for The Story Prize, Kelly Luce, author of Three Scenarios in Which Hana Sasaki Grows a Tail (A Strange Object), discusses what she calls "the chop-chop method." I love my laptop—we’re umbilically attached—and do most of my writing on it. But every tool has its disadvantages. There’s the temptation to revise as I go, or the curious phenomenon of the screen-sized paragraph. The thing that bugs me most is that when I’m working on a story, a computer doesn’t let me see the whole thing at once. Stories are read from start to finish, but they aren’t always written that way. A discovery made while writing page 20 may really belong on page 2. Yet I can’t wrap my mind around this until I actually see it on page 2. 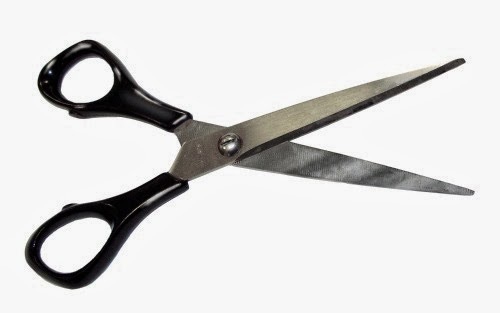 This is why, along with a pen, notebook, and laptop, I carry a sharper tool in my writing arsenal: scissors. I came upon the chop-chop method while I was working on “Wisher,” a story in Hana Sasaki in which a man can hear the wish made on a coin when he holds it. I’d written blobs of text about the man, his job, the fountain full of coins, but I couldn’t see what the blobs added up to. Maybe it was a stupid idea, not worth a whole story. Maybe the wish-hearing thing was a gimmick and that’s why the story was stuck. I printed out what I had and lay the pages on the kitchen table. The twelve of them mocked me. It’s so cute that you thought changing our font to Baskerville would help, the story taunted. I swear one page grew an arm and flipped me the bird. I read in Susan Tepper’s post that Billy Collins organized his first book by taking the poems and throwing them in the air; their order when he picked them up was the order of the book. I’m advocating for a slightly more controlled version of this, but it can’t hurt to see what notes chaos, or a pair of kitchen shears, might have for a story. In the 52nd in a series of posts on 2013 books entered for The Story Prize, Saïd Sayrafiezadeh, author of Brief Encounters with the Enemy (The Dial Press), talks about good ideas, bad ideas, and ideas that weren't his. There are two kinds of story ideas. There are the kind that flit through my head all the time, triggered by boredom or distraction or playing basketball, and they are generally vague and profound (to my way of thinking) phrases or images. A person standing by an open window at nighttime, say, with the curtains blowing around them. This is my least favorite type of idea, because while it sounds like a lovely image, the kind that would make a great moment in a story—a lovely image alone cannot a story make. No, what's needed are characters, plot, arc, dialogue, etc., and those are achieved by dispensing with profundity and sitting down and actually putting words on paper, which is when the real thinking occurs. It’s the pressure of having to say something that forces the mind to conjure up the story. I once accepted a project from a theatre to write a play about the New York City "draft riots" of 1863, which was the worst civil disturbance in American history, and now largely forgotten. I worked on the play for years, writing, researching and rewriting, and it was never produced by any theatre anywhere. I finally gave up on it in an acknowledgement of utter defeat. I once accepted an offer from Matt Weiland, then deputy editor of Granta, to write about my upbringing in the Socialist Workers Party. So I spent three months working on a ten-thousand word personal essay—while I was employed full time by Martha Stewart—and in the end it was sadly turned down. Yet another crushing defeat! This time, however, it was followed by a most stunning and miraculous turn of events (which had never happened before or since): a few weeks later Matt Weiland called to tell me he had changed his mind and was ready to publish. That essay ended up being the thing that launched my writing career, becoming a chapter in my memoir, When Skateboards Will Be Free, and allowing me to bid farewell to Martha Stewart. The moral of this story, I suppose, is that you never know what's going to be the suggestion that changes your life—so you just have to accept them all. At some point, during the process of writing a story, every idea begins to seem like the worst idea for a story I've ever had. It seems to be the nature of writing. Brilliant at first, exhausting second, sophomoric third. The point is to ignore that naysaying inner mind and push through to the end. The New York City "draft riots" of 1863. For years I wrote at the wonderful and cozy Housing Works Bookstore Café, but I ended up becoming friends with too many people, and drinking too much coffee, and having to go to the bathroom too much, which always meant closing up my laptop and praying no one stole my seat. In other words, I wasn't getting any work done. Now I write from the comfort of my dining room table. After my wife leaves for work, I wheel my desk chair in from the bedroom and set everything up just the way I like it. I even have a Nespresso machine to keep me company. In the evening, I clean everything up and wheel my chair away. There is no sign of labor. It's as if nothing has taken place. Does basketball count as artistic? 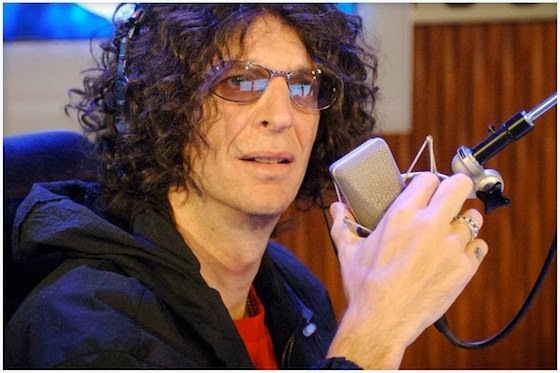 What about Howard Stern's radio show? I marvel at the way he creates stories, deftly handling multiple characters-many of them with mental disorders. His show has the quality of a soap opera. "No one's going to care about your upbringing in the Socialist Workers Party." This from an agent that I was hoping would sign me. She told me that communist upbringings had been trendy a few years earlier, but that now the trend was about people who had grown up in religious fundamental households. (The irony, of course, is that growing up in the Socialist Workers Party is tantamount to growing up in a religious fundamental household.) I remember being devastated by her advice, but also thanking her profusely for her time, and for saving me the trouble of actually having to write an entire book about my childhood—which apparently no one would be interested in. "Don't listen to her." This from my therapist. He has always been of sound and supportive advice when it comes to my writing career. That's one of the reasons I've dedicated my books to him. A lecherous professor in college who fawned over my writing so much that it nearly paralyzed me artistically. Praise, especially gratuitous praise, can be as detrimental as criticism, especially when it's bound up with the expectation that you will at some point sleep with the person who is praising you. After I was able to extricate myself from that professor, I had to contend with the obstacles of day jobs, discouragement and self-doubt. Frankly, those were much easier to contend with. If you use them right, they can also be galvanizing. In the 51st in a series of posts on 2013 books entered for The Story Prize, Courtney McDermott, author of How They Spend Their Sundays (White Point Press), talks about finding inspiration in mundane details. How often does an idea occur to you, and what triggers those ideas? A news headline mourning a felled tree at Versailles. A pair of grungy teenagers discussing techno-Buddhism on the bus. A stack of empty peach boxes in the corner of a room. I encounter ideas wherever I am present, and ideas occur to me every day. Not always great ideas or ideas I’ll end up using, but how I look at the world is very much influenced by my role as a writer. When I encounter something new, I attempt to understand it. When I experience something familiar, I conjure up new metaphors. I never put in headphones when I walk or ride public transportation because these are some of the key periods of time when ideas spark. Places and spaces certainly trigger ideas for me. How people interact and move within a space intrigues me. I often take minute and mundane details (the way someone chews their nails, for example) and use that to build a story upon. Most of these ideas stay on the scraps of papers I first trap them on, but the main purpose is to keep viewing the world through words. I don’t have enough lifetimes to fully develop all of my ideas, but I write them down anyway. The other day, I rolled awake, scrounging around for a notebook, because I had a dream that jabbed me between the eyes and commanded: Write this down! 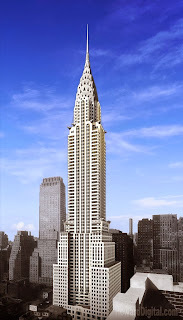 My fingertips already quiver in anticipation of working on it someday (when I finish this novel I’m working on first). There is a girl and an accident, in a sort of sci-fi/medieval world (I am still trying to figure out what I mean by that). There is time travel and a family pushing against these movements of time. The form of the story is what excites me—how it moves through time and space, skipping ahead, moving backwards, switching narrators. Even if the story never happens, or turns out to be unpublishable, the excitement it imbues in writing makes it worthwhile. Because ideas creep up at any random time, without much planning or intention, I don’t have a system or precise way of gathering ideas. Instead, here are some of the ideas that I’ve stumbled across in the last couple of weeks, which I have written down and hope will ferment into delectable stories. And if not, at least they get me thinking. I came across a white Mr. Coffee on the sidewalk, leaning against a sign: Needs Repair. I invented a repair woman who salvages abandoned, neglected items and fixes them, though she can’t fix things about her own life. Intertwined flash fiction pieces centered around a performance artist’s performances and a love story. I like a good love story. My boyfriend’s obsession with emoticons (particularly monkey-faces). I wonder about these digital hieroglyphics: What would it be like to have a kid who has grown up in an age where every embarrassment, amusing conversation, unforgettable action has been digitally recorded and publicly shared? And who communicates exclusively through emoticons and acronyms? An online newspaper headline about a drunken man at a metro stop arrested after he declared, “I am Rumpelstiltskin!” Maybe he is a trapped fairy tale character, subjected to the subway, riding through tunnels that never lead him back to A Land Far, Far Away. 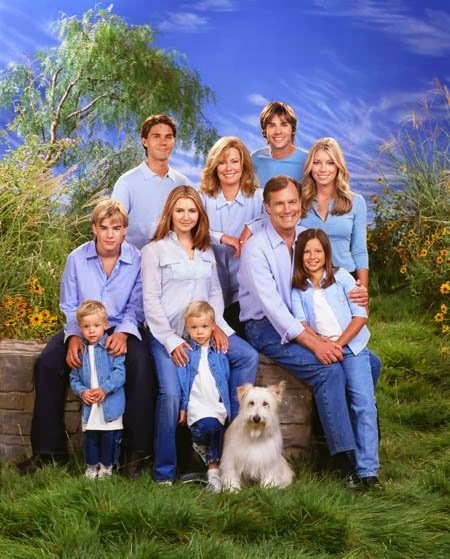 After a work indulgence of Seventh Heaven episodes, I spun a fragment of a story about a TV family (a group of actors playing a family), and how their TV family becomes their reality, until they no longer can tell their two lives apart. These are just some ideas from a short period of time. If there is a simple answer to the question above, it is this: Awaken yourself and ideas will come. In the 50th in a series of posts on 2013 books entered for The Story Prize, Mary Akers, author of Bones of an Inland Sea (Press 53), discusses layering, linkages, ontology, and sound. The first coherent draft of Bones of an Inland Sea contained nine stories related only by a repeating ocean theme. I called it my “marine ecology collection” but found that I wanted an even more cohesive book so I assigned those stories to three main characters. There was Jack, a Vietnam veteran working hard to live in a society that doesn’t value his unique approach to life; Leslie, a field biologist caught between the conflicting needs of her teenage children and her aging parents; and Dani, a transgendered man working to understand the legacy of his unusual lineage. I wrote five more stories to fill some critical gaps in the arc of the book and ended up with an interconnected family saga that spans two centuries, three oceans, and four seas. As a painter might layer many colors to achieve one color (with a depth that could not otherwise be achieved), so, too, a writer works on many levels, including layers that readers will never see. And yet the layering informs the text, deepens the reader’s experience, and gives the writer a special thrill of pleasure. In “Like Snow, Only Grayer,” a young, newly single mother of two comes to the Marshall Islands for work. 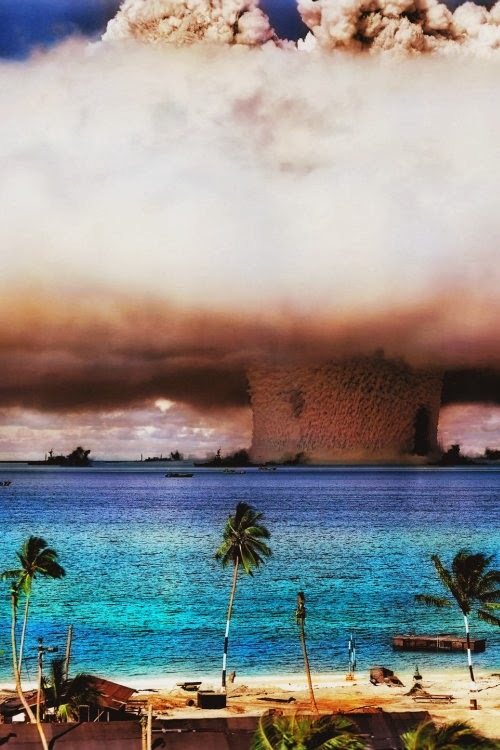 The present-time front story is interspersed with back-story about the U.S. atomic testing as it unfolded for the residents of Bikini Atoll in the 1950s. These past sections are told factually, supplying numbers, quantities, and dates. X-tons of explosive power, X-number of experimental animals at ground zero, X-many U.S. Navy boats anchored nearby to determine survivability. The numbers quickly become overwhelming, the facts institutionalizing. In the present story, the sections often end with terms that relate to jurisprudence: objection, defense, guilt, exhibit A. It was my goal to have these subtle details add up over the course of the story to create a mood and emotional connection that would not be possible simply by spelling out the horror and injustice. Ontology is my new favorite word. Unfortunately, despite having looked it up repeatedly, I’m still not entirely sure what it means, but I’m going to throw it around as if I do. For my purposes here, ontological questions explore what it means to be human, and specifically what it is that makes us human and, even in a grand sense, the meaning of existence. Who or what can be said to exist? Humans? Animals? Does Truth exist? Beauty? Justice? Also, how much are we guided by instinct? How much by societal expectations? How do our bodies relate to our environments? All of these questions hovered in my mind as I shaped the book. For inspiration, I drew on headlines from the news that wouldn’t let me go. I wrote my way toward understanding the thorny and the difficult. I have stories that hearken back to the Terri Schiavo case, the Asian tsunami, the pull of a charismatic cult leader, the great Pacific garbage patch, cetaceans in captivity, Post-Traumatic Stress Disorder, the fluidity of gender, personal identity, and more. I am also interested in how my work sounds. In the reader’s head, I mean. The music of words is important, the flow of sentences equally so. Each word in a story gets followed by another, each sentence by the next. How the words and sentences interact informs how we perceive and experience the whole. Perhaps it’s my southern roots showing, but I do love a musical sentence. As I write this, a wonderful voice actor (Erin L Jones, narrator of more than 500 audio books for the blind) is putting the finishing touches on an audio version of Bones of an Inland Sea. It’s been wonderful to have an astute and talented reader bring to life the chains of words that first existed only in my head. 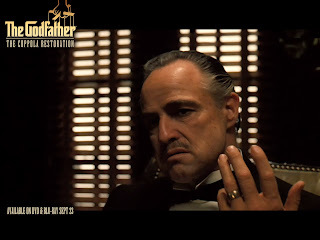 In the 49th in a series of posts on 2013 books entered for The Story Prize, Rebecca Lee, author of Bobcat (Algonquin Books), recalls Francis Ford Coppola asking her to write a story based on an idea he had. Usually ideas for stories come from a shadowy place—a dinner party seen through a glass darkly, the writer circling around outside the window, looking in, wondering. I like Ted Solataroff’s observation that writing a story is like telling a joke whose punch line you don’t yet know. But for one of my stories—"Fialta" (whose title, stolen from a Nabokov story, I keep meaning to change)—the idea came from an unlikely source. In the spring of 1999, I got a call from the editor of Zoetrope, Frances Ford Coppola’s literary magazine. Frances (as the editor called him) had an idea for a story, and would I like to write it? I had been raised on Apocalypse Now and The Godfather, and more importantly I had just seen his wife’s intimate, thrilling documentary about the making of Apocalypse Now, and I said yes. Yes yes yes yes. Whatever the idea was I would write it. "I want you to write about thwarted love." I waited a week for the idea. It may have been one of the most suspenseful weeks in my life as a writer. Usually one is dragging a half-baked idea out of the ether, hoping that it might pan out, jerry-rigging the whole operation, pretending it works until it sort of does. But this was so much better. I would actually just be given an idea, and by Frances Ford Coppola. What could be better? And so it did come, via phone. The idea was to write about two young lovers whose love was thwarted by an authority figure. I was also instructed to watch Splendor In the Grass. And so began many weeks of staring at the blank page, and then worse, writing really bad love story after love story. Robertson Davies said the most painful part of writing is that you have to allow your brain and hand to become a thoroughfare for bad writing as well as good. That same year I reread Milan Kundera’s The Unbearable Lightness of Being, and came upon these lines: “The sadness was form, the happiness content. Happiness filled the space of sadness,” and that formula entered me, allowed me to write about love properly, and has never left. It’s the richest sort of advice and it keeps giving and changing and revising itself in each new narrative. Every life ends, and everything runs toward its end, but in the meantime, how much happiness can be withstood? Narrative, or at least one type of narrative, seems to be about just that, and it’s the deepest sort of quest for a writer—to find the perfect sad ending with so much happiness in it that it is almost indistinguishable from a happy ending. In the 48th in a series of posts on 2013 books entered for The Story Prize, Aurelie Sheehan, author of Jewelry Box: A Collection of Histories (BOA Editiions), parses the strange relationship between truth and fiction in storytelling. When I was in college my teacher said, as teachers sometimes do, write what you know. Excellent idea. But at the time it also seemed essential to mask the origins of any given work. First of all, this was fiction, and so by definition an imagined world. Secondly, and probably more importantly, I found it necessary to the point of despair to separate characters or circumstances from their inspirations (especially if those inspirations were my father or mother or boyfriends I might have had—or myself). Thus brown-haired “inspirations” would find themselves blond in my stories, brown eyes would become, alas, gray or green, and people would up and move to New Jersey when they might have more likely come from Connecticut (had my garden not been one of pure Anxiety). This compulsion to mask was new. As a child, I didn’t write about myself, at least not consciously. I wrote about gods and monsters, and therefore didn’t require the shifty secondary move in which I made Ken “Joe” or Jenny “Kate.” My need to write out of reality, or let’s call it lived experience, came at the same time as an equally strong interest in hiding. I was sure my clothes, gait, musical tastes—the very expression I wore on my face—needed to be carefully crafted for impact, my interior tucked away. Time passed. Novels were written. Chitchatting after readings, I’d find myself saying, “Like Alison, I grew up in Connecticut in the Seventies, though we are very different people,” or “As it turns out, I too worked as a secretary in a law firm in the Chrysler Building, but this is an imagined story.” Damn it, a full-on adult, and still the shiftiness! Yet I wanted to—I needed to, for legal reasons if nothing else—separate out from my characters. I used my own experience as inspiration, but the narrative details deviated from what I had actually lived. It was a value-added My Life; it was Me—with benefits. But was it me? No. Or yes? The ambivalence is, exasperatingly or intriguingly, obvious at the sentence level. "Winona Bartlett, Win to her friends, might not have been the world’s best secretary, but her nature was such that serving, subservience, and coffee service came easily, and, in fact, she felt there was an inherent good in doing things well… "
I am not Winona—my name is Aurelie. I was a fine secretary (though a little bit roiling inside and a little bit going insane). My nature is such that those things do come easily—or they did—but there are other qualities too, that make up about 75% of me. In my new book of stories, Jewelry Box: A Collection of Histories, I wanted to work with this edge, this double life as fiction writer and reality revealer, more directly—hence these pieces are “fiction” but they are also “history.” For once I just grabbed what I wanted from my own life without apology. Doing this was useful, not because it got me any closer to writing a memoir or autobiography, but because shifting the paradigm broke the locks on some stories. The pieces in Jewelry Box are no more or less confessional or factual than the stories and novels that I carefully constructed not to be me. What changed, simply, was a sense of prerogative. I made liberal use of my life, finding or revealing or creating a passel of psychological, intellectual, and imagined states. I wrote what I knew (! ), using the craft of fiction to tell my own stories.